I’m also happy to include a handwritten card with your own personal sentiment. I'm here to help make this process as easy as possible for you. 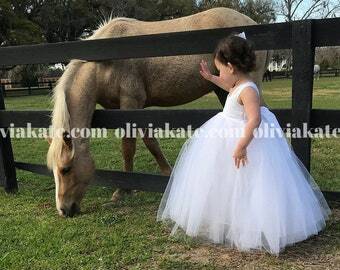 OLIVIAKATECOUTURE™ DRESSES CANNOT BE PURCHASED FOR LESS THROUGH WHOLESALE WEBSITES OR OTHER DISCOUNT DRESS WEBSITES. WE ARE NOT AFFILIATED WITH ANY OF THESE SITES. YES, Dresses are fully lined. Your child's comfort is very important to us! Each garment is individually crafted to perfection. We ship out free color samples or we can match your wedding colors if you send us your swatch. You can view our size chart in the listing photos (pink charts). 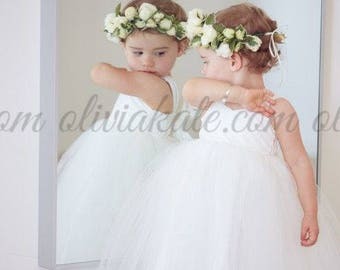 ~I want to order several dresses for my wedding. Should I order them all at once or can members of my wedding party order individually? 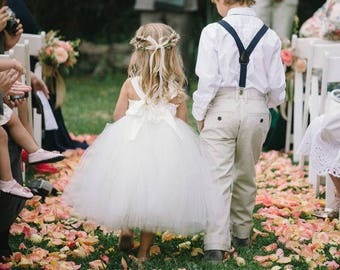 We can set up one listing for you to purchase everything at once or we can set up a reserved listing for your wedding that contains all the details and each person can order individually. Dresses should be ordered together to ensure the same dye lot is used. Orders currently take 8-10 weeks to Make Before shipment. This is our turn around time to MAKE the dresses. Orders will ship shortly after this time which is generally 3-5 days. We do have rush orders available also. Custom colors take 10-12 weeks to Make Before shipment. International orders ship USPS Priority with tracking. If you need another carrier please contact us to discuss other options available. Unfortunately we have no control over customs delays or taxes that other countries may require. Please do not hesitate to contact me with any additional questions. no man cometh unto the Father, but by me (John 14:6). shalt be saved, and thy house (Acts 16:31). **We want to thank our fellow Etsians who include us in their beautiful treasuries! 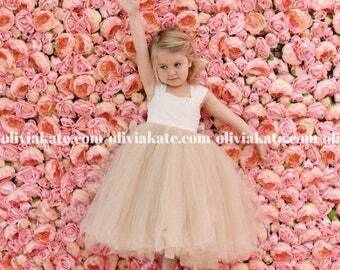 Established in 2007, ❤️ Olivia Kate Couture ❤️ specializes in fine flower girl, tulle, tutu dresses. It began as a hobby. I wanted to make some cute clothes for our daughter, Olivia. This turned into a very small boutique shop on ebay and then etsy. Eventually someone requested an adjustable tulle dress. This customer sent us photos and we began receiving many referrals and great feedback for our dresses. 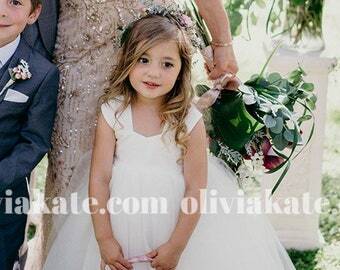 As you know, Weddings are stressful...the flower girl dress shouldn't be! 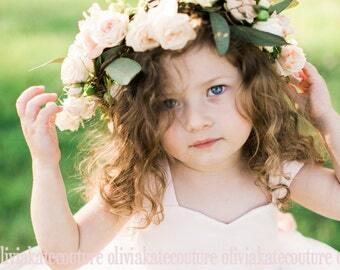 Our dresses are made with the growing child in mind and are adjustable! They will fit perfectly with no alterations needed. Designs exclusively made for our customers are printed with our production partner.